The Malagasy people originated from Madagascar, an island country in the Indian Ocean, off the coast of Southeast Africa. 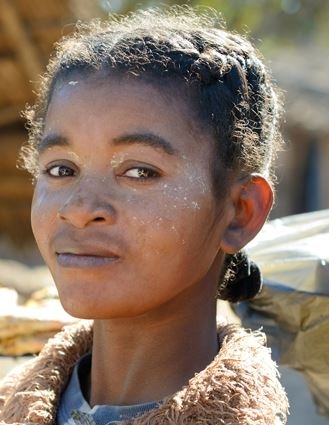 With ethnic influences from both Southeast Asia and Southeast African peoples, the Malagasy people are not quite African. Their homeland is known for its diverse plants and animals, especially the many varieties of lemurs. The Malagasy ethnic group forms over 90 percent of Madagascar's population and is typically divided into eighteen ethnic sub-groups. Each of the many ethnic sub-groups in Madagascar adhere to their own set of beliefs, practices and ways of life that have historically contributed to their unique identities. Malagasy people like to mix with the population d’accueil and other communities. However, there are a number of core cultural features that are common throughout the island, creating a strongly unified Malagasy cultural identity. In addition to a common language and shared traditional religious beliefs around a creator god and veneration of the ancestors, the traditional Malagasy worldview is shaped by values that emphasize fihavanana (solidarity), vintana (destiny), tody (karma), and hasina, a sacred life force that traditional communities believe imbues and thereby legitimates authority figures within the community or family. Many Malagasy have now converted to Christianity with Protestantism being dominate over Roman Catholicism. Ask God to work in and through the lives of evangelical Malagasy to spread the message of Christ. Ask God to work in the lives and hearts of Malagasy who adhere to traditional religious beliefs that they might experience a personal relationship with a living God.